Happy Holidays from Golf Babes - and to celebrate, we offer this holiday card from the lovely Sadekar sisters. That's Nisha on the left, Seema on the right. 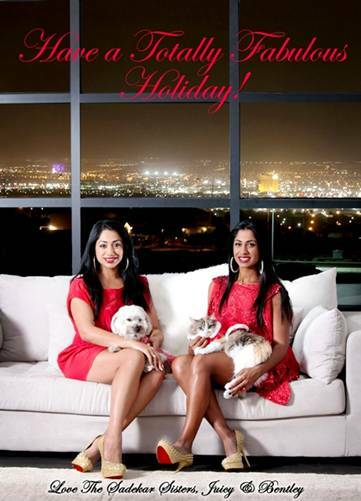 And Juicy and Bentley send their holidays wishes, as well. And it's Sandra Gal with the win. But wait, you say, a win in what? There are no tournaments going on right now. True. What Gal won was a vote on the LPGA.com website for 2011 Shot of the Year. Gal's winning shot was a wedge approach on the final hole of the Kia Classic, when Gal was trying to hold off Jiyai Shin and after Shin had already put her own approach close. Gal nearly holed it, and hung on for her first LPGA victory. Hee Young Park has been a solid player on the LPGA Tour since joining in 2008, and she's come close to victory in the past. But LPGA Win No. 1 eluded her. Until now. Park won the season-ending CME Group Titleholders and the hefty half-a-million-dollar first prize paycheck that came with it. 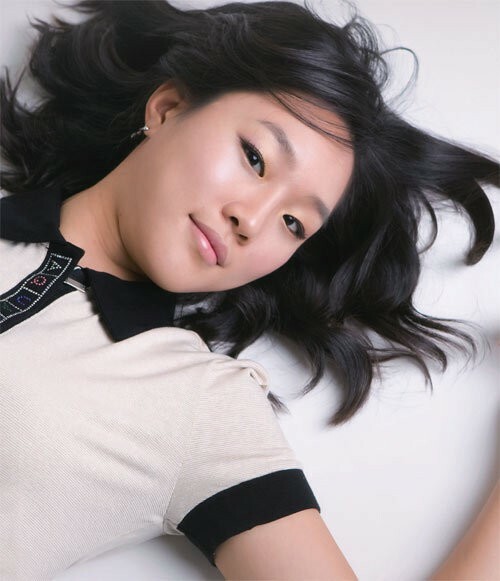 Park entered the Titleholders 32nd on the money list; now she'll finish the year inside the Top 15. She should also get a nice boost in the world rankings, in which she was 58th entering the tournament. Hee Kyung Seo was sparkling as she arrived at the LPGA Rolex Awards Reception. Seo was an award recipient during the night, too, receiving the Louise Suggs Rolex Rookie of the Year award. Sharmila Nicollet is a winner again on India's Hero Women’s Professional Tour. Nicollet won for the second straight time, this week at the Chandigarh stop, the seventh tournament of the Hero season. An article on IndianSportsNews.com calls Nicollet "the lanky long-hitter from Bangalore." Which is awesome. I hereby move that from now on, Nicollet always be referred to as "the lanky long hitter from Bangalore." As we've noted before on Golf Babes, Nicollet is beginning to gain wider notice outside of Indian golf, making multiple appearances in Europe and showing up more frequently on the Ladies European Tour. The photo above was taken during the 2011 Evian Masters. The Ladies European Tour recently spotlighted Mari Suursalu, who the LET notes is the first - and so far only - female professional golfer from Estonia. Suursalu has yet to appear in any LET event, but does play in tournaments on the LET's developmental tour, the LET Access Series. For the last three year, Suursalu's primary golf home has been the Nordea Tour. There are more than a million visitors to Estonia every year and it is only a four hour drive from one side of the country to the other. Winters are cold, but the welcome is said to be warm. There are only 2000 golfers and eight golf courses in Estonia, so Mari is a rare talent. She says that the LETAS is the ideal tour for her to compete against other international players. "I've won many Estonian titles but the competition there cannot really compare," she says. It's win No. 1 for Frances Bondad on the Ladies European Tour. Bondad claimed victory at the 2011 Sanya Ladies Open in China, birdying the final hole to secure the win. Bondad is a 23-year-old from Australia who is in her fourth season on the LET. She's come close before, tying as runner-up at the 2010 Open de Espana Femenino. In 2008, she finished just inside the Top 100 on the money list. But in 2009 Bondad moved up to 39th and in 2010 finished 26th. It's the eighth Top 10 finish of her career to date. Ginger Howard is the winner of the LPGA Q-School second-stage qualifier, completed on Sept. 30 in Florida. And with four great rounds: 69, 70, 68, 65. That totals to a 16-under par score of 272. Ginger is only 17 years old. The petition that Alexis Thompson filed to gain LPGA membership for 2012 is the one that has gotten all the attention, but Howard needed to petition for the chance to take part in Q-School. And the LPGA is looking smart for saying yes. Should she earn her LPGA Tour card, Ginger would be about a month shy of turning 18 when the 2012 LPGA season begins. That's that same path that Morgan Pressel took the LPGA. As a junior golfer, Howard was runner-up at the 2010 Junior PGA Championship and was a member of the USA's Junior Ryder Cup team. After a string of strong showings in top amateur tournaments in the first half of 2011, Ginger turned pro in June. Between then and the start of Q-School, she won five times on the Suncoast Tour in Florida. Azahara Munoz is the classy Spaniard who made her Solheim Cup debut for Team Europe in 2011. And it was a successful debut: She played four matches, going 2-1-1, earning 2.5 points for her side. She also wound up in the anchor match after the Kerr-Stupples match was conceded due to Kerr's injury. With the Solheim Cup very tight throughout the final day of singles matches, that was a tough position for a young player. But Aza handled it expertly. And while Europe clinched the cup after Caroline Hedwall, playing one match in front of Munoz, fought back to earn a half-point, Europe would have won even without Hedwall's comeback. Because Munoz won her own match, the anchor, 1-up over Angela Stanford. The photo above was taken during at the Evian Masters. It helps demonstrate why Munoz was voted "the most CHIC Lacoste player on the Ladies European Tour" early in 2012. Julie Maisongrosse now has the first win of her professional career. The young Frenchwoman (she was born in Colombia but grew up in France and plays for the France) recorded that victory at the LET Access Series' Dinard Ladies Open, played in Saint Briac Sur Mer, France. Maisongrosse earned with three low rounds - 67, 65, 65. She's in her second season with LET status, having finished fourth at 2009 Q-school. As a rookie in 2010, Maisongrosse finished 79th on the LET money list. She was the French amateur champion in 2005. This photo of Brittany Lincicome was posted by her Solheim Cup teammate Vicky Hurst on Twitter. Vicky wrote that Brittany was "looking like a goddess." We concur! And we've come to the end of ours series on the women of Big Break Ireland. We wrap up with Nicole Smith. First, Smith's degree from the University of Tennessee is in Perspectives in Human Relations & Culture. I have no idea what that means. Which helps explain why I hold no degrees of my own. Nicole has spent the past two years - 2010 and 2011 - playing full-time on the Futures Tour, and she's built a pretty good record. In 2010 her best finish was fifth and she finished 40th on money list. In 2011, her best finish was second and she finished 32nd on the money list. Smith's career has been delayed a bit by injuries suffered in high school in college. But she also managed, in her amateur days, to win the prestigious Kathy Whitworth Invitational and record Top 15 finishes 16 times in college. Kelly Jacques has the least professional experience among the women on Big Break Ireland - since turning pro in 2008 she's played in only seven LPGA Futures Tour events. That's because after college she temporarily gave up competitive golf. What brought her back? According to her bio on the Golf Channel website, after time spent working at, well, work (as in jobs), she started thinking of golf again. So in 2011, Jacques got into five Futures Tour tournaments and the results were promising if inconclusive: three cuts made. As am amateur, Kelly was the Colorado state high school champion twice, and was twice named the Colorado Golfer of the Year. She was a two-time all-conference selection in college, recording 10 Top 10 finishes during her time at the University of Oklahoma. Annie Brophy is another of the cast members in the Golf Channel's Big Break Ireland. Do you believe in the luck of the Irish? Annie has it going for her double. Not only is the series taped in Ireland, but Annie played her collegiate golf for the Notre Dame Fighting Irish. Brophy had eight Top 10 finishes in college golf and two victories, including the 2008 Big East Conference Championship. She was runner-up at the same tournament in 2010. She turned pro after graduating in 2010. Annie played on the LPGA Futures Tour in 2011, getting into 13 tournaments. Her best finish was a tie fo 22nd at the Island Resort Championship in June. Nina Rodriguez is one of the six women cast members of Big Break Ireland, which premiered on the Golf Channel on Sept. 20, 2011. She might be the one who was least-known prior to the show, but is almost certainly the one least experienced in golf. That's because Nina was a gym rat, not a range rat, as a kid. Growing up, basketball was Nina's game. She didn't turn her attention full-time to golf until she was 19. She hadn't even begun playing golf until her junior year of high school. Once she realized her talent, she played golf for Mt. San Antonio Junior College in California and then moved on to San Jose State University. "It was a huge adjustment switching from basketball to golf," Rodriguez told the Golf Channel. "Basketball is such an active and contact sport, where in golf, patience is key. I wasn't used to that." Rodriguez turned pro after college and played first on the Cactus Tour, then had full status on the Futures Tour in 2011. Her best finish of this season was a tie for 19th place at the Santorini Riviera Nayarit Classic in April. "My experience on the Big Break was amazing, to say the least," Whitney Wright, one of the contestants we'll be watching on Big Break Ireland after its Sept. 20 debut, told Golf Babes. "I met so many wonderful friends and people from all parts of the world and will cherish that the most out of everything." Whitney recently moved to Raleigh, N.C., and if you're in the area head out to Raleigh Country Club or TPC Wakefield. You might find Whitney at either course. 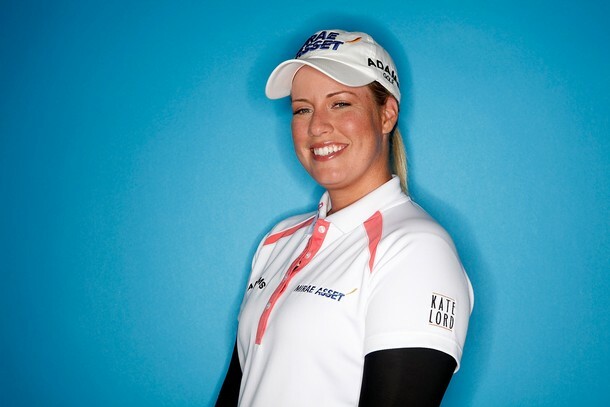 Wright is aiming for a sort of dual-citizenship in 2012: She hopes to earn playing status on both the LPGA and LET. 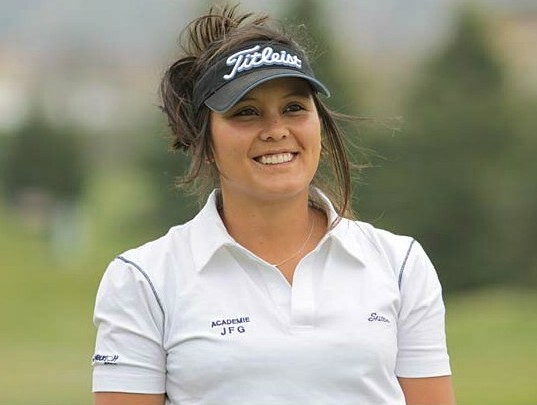 She's playing the LPGA Q-School second-stage qualifier soon, and will play the LET Q-School in January. Whitney made it to the final stage of LPGA Q-School last year. "My golf career to date has been very strange and different," Whitney said, explaining that after college at Florida State she moved to Norway and played 18 months on the SAS Masters Tour. 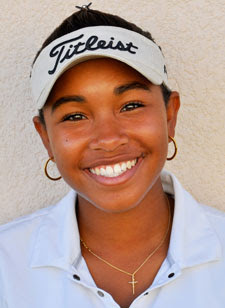 After returning to the U.S., Wright entered LPGA Q-School and did well enough to earn Futures Tour status for 2011. Unfortunately, as is often the case because of limited financial opportunities in women's golf below the LPGA level, she could only afford to play a few tournaments this year. "I've been saving up my money for Q-School," Whitney said, "so this is once again my shot. I have to make something happen!" Finding sponsors is always an issue for young women golfers, and hopefully the Big Break will open some doors for all of its cast members. But the experience was its own reward, Wright said, not least of which for the new friendships forged. "I'm sure they will be friends for a lifetime," Whitney said. On Tuesday, Sept. 20, Big Break Ireland premieres on the Golf Channel. The cast includes six men and six women, and at Golf Babes we don't care about the dudes. So over the next couple days we'll be posting about the six women in the cast. And we start with Mallory Blackwelder, because she is the best-known of the six heading into the show (we've written about her before). Mallory is coming off a season in which she started 12 times on the Futures Tour and posted three Top 10 finishes - including a best showing of second place at the South Shore Championship in early July. She finished 27th on the Futures Tour money list. A year earlier, in 2010, Blackwelder held non-exempt status on the LPGA Tour and fully exempt status on the Ladies European Tour. She got into 11 LET tournaments, made seven cuts and had four Top 30 finishes. She turned pro in 2009 after playing collegiately at the University of Kentucky. Mallory comes from a golf family. Her mother is longtime LPGA member Myra Blackwelder, and her father is longtime LPGA caddie Worth Blackwelder. That last LET event before the 2011 Solheim Cup and Solheim Cup team member Melissa Reid gets the win. Reid's win was in the Open de Espana Femenino (Women's Spanish Open), and she earned it with a final-round 70 and a total of 8-under 280. That was one stroke better than three golfers in second place. This is Reid's second LET victory of 2011, and her seventh Top 5 finish. Reid has been fantastic on the LET since turning pro. In her rookie season of 2008, she was 12th on the Order of Merit; moved up to seventh in 2009; then finished third in 2010. And she now stands second in 2011. Jade Schaeffer is a winner again, this time on the Ladies European Tour at the Raiffeisenbank Prague Masters. Schaeffer, from France, held off her countrywoman Julie Greciet to win by two strokes. It's Schaeffer's second win on the LET, the first coming at the 2009 Ladies German Open. She also has a couple victories on the LET Access Series between her two LET wins. Honestly, I am not totally comfortable being referred to as the "Supermodel of the Fairway." When I won for the first time in Korea, I didn’t have any nicknames. I think I got the nickname because I am pretty tall for an Asian woman. Here, on the LPGA Tour, I see many tall model looking players and I feel some pressure to live up to my nickname. Any golfer who doesn't like her nickname - or anyone who doesn't like a nickname - should no longer be called by that name. Common courtesy. So while Seo certainly is as pretty as a supermodel, the mention of that nickname up above is the last time we'll use it here on Golf Babes. Marta Silva Zamora is the No. 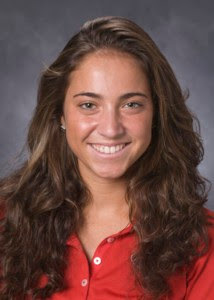 1 NCAA golfer in the 2011-12 preseason rankings from Golfweek writer Beth Ann Baldry. Silva, from Spain, is coming off a season for the University of Georgia in which she finished outside the Top 10 just once, and earned Player of the Year nods from both Golfweek and the National Golf Coaches Association. Silva is a senior for the 2011-12 season. Silva also won the 2010 Spanish Amateur Championship and was runner-up at the 2010 European Ladies Amateur. 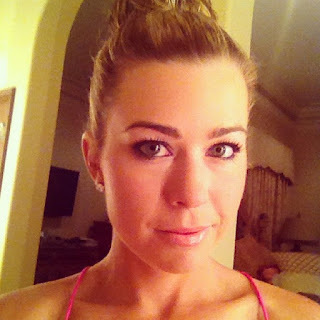 Golf Digest announced today that Paula Creamer is the magazine's newest "playing editor." That means we'll be seeing Creamer in each issue providing instructional tips. There haven't been too many LPGA players over the years who filled this role for the magazine (although Annika Sorenstam is also currently a "playing editor"). When you break through for your first professional win, you might as well dominate. That's what Sydnee Michaels did at the LPGA Futures Tour Vidalia Championship, winning by eight strokes. Michaels entered the week in the Top 10 on the Futures Tour in birdies, scoring average, putting average, and GIR putting. More importantly, the win moved her from 13th to fifth on the money list. And since there's only one tournament left in the 2011 Futures Tour schedule, Sydnee has put herself in position to earn her 2012 LPGA Tour card. And Brittany Lincicome is your 2011 Canadian Women's Open winner. She did it by shooting 70 in the trying final-round conditions (Montreal got strong winds and some rain courtesy of squalls sent by Hurricane Irene) to win by one stroke over Stacy Lewis and defending champion Michelle Wie. 2011 has been a great year for Brittany, her most consistent season to date. The win in Canada is her second of the year (and fifth of her career). She also has second- and third-place finishes, along with a slew of Top 20s. Henrietta Zuel is a winner again on the LET Access Series (the LET's own Futures Tour). Henni won the LETAS Ladies Open in England, beating Ashleigh Simon in a playoff. The win is Zuel's second of 2011 on the LETAS; she also won in March at the Terre Blanche Ladies Open in France. The victory moves Henrietta to the top of the LETAS order of merit with three of six tournaments complete. The golfer who tops that list at the end of the year gets her tour card for the LET in 2012.